(UPI) — If the United States approves a proposed law that would halt weapons sales to Turkey, the nation will retaliate, Foreign Minister Mevlut Cavusoglu said Sunday. 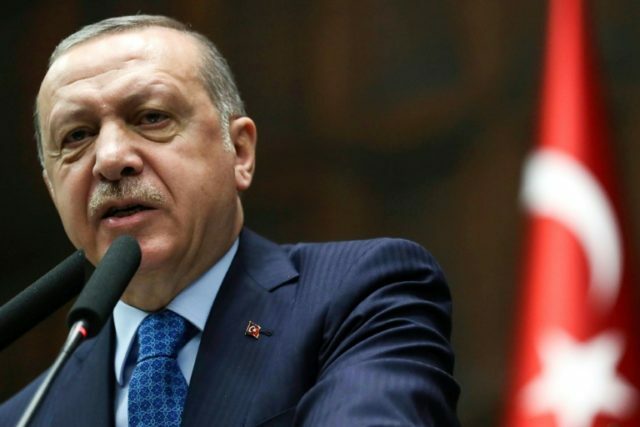 On Friday, legislators in the House of Representatives introduced a $717 billion 2019 defense bill that includes a temporary halt of weapons sales to Turkey. In the legislation, the Defense Department would be required to provide Congress with a report on the relationship between the nation and Turkey, and would block any sale until the report was complete. Turkey plans to buy more than 100 Lockheed Martin’s F-35 Joint Strike Fighter jets and is negotiating with Washington over the purchase of Patriot missiles. In December, Turkey agreed to buy from Russia S-400 surface-to-air missile batteries in its effort boost its defense capabilities amid threats from Kurdish militants at home and conflicts with Syria and Iraq. The delivery is expected to start in late 2019 or early 2020. NATO member countries are unhappy with the arms deal with Russia. But Cavusoglu said Turkey’s relations and agreements with Russia aren’t in conflict with its ties to NATO allies. Cavusoglu said he likely will meet U.S. Secretary of State Mike Pompeo on Friday or May 16. On Thursday, Turkish President Recep Tayyip Erdogan welcomed Russian President Vladimir Putin in Ankara for a gorundbreaking of Turkey’s first nuclear power plant. The project, which was agreed upon in 2010, will be fully-funded by Russia, which will retain 51 percent of shares of Russian companies.